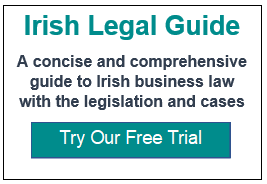 Irish Legal Guide provides a practical and comprehensive guide to law, tax, regulation and legislation in the Republic of Ireland. It explains the law in practical and comprehensible terms. It also presents the relevant legislation, case law and other legal sources, should the user wish to explore the particular topic further. 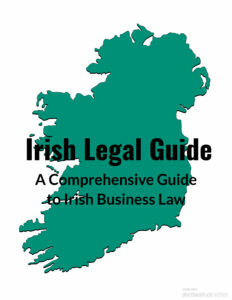 Irish Legal Guide will be of interest to legal practitioners, businesses, and private individuals. It covers the traditional areas of law as practised by legal professionals, together with taxation, governmental regulation, public and social services. 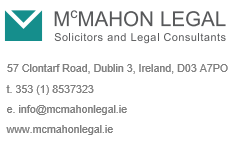 Irish Legal Guide is a subscription website. It offers each registered user a one week no obligation free trial. No credit card is required. You can see the subscription options here. You can explore our extensive range of articles here. Irish Legal Guide is the first Encyclopaedia of Irish law.In its complete form (which has been written and is being edited), its content will be the equivalent of over 20,000 textbook pages with over 100,000 pages of legislation, case law and other material on Irish law arranged and indexed in a readily understandable thematic format. 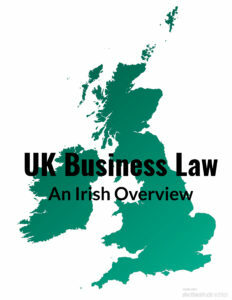 The principal areas of law relevant to business and trading are now available. New areas are being added every few weeks. Sections dealing in detail with Intellectual Property, Competition, Tax, Real Property, Tort and Dispute Resolution will be added in the coming months as editing is completed.